Sentsov is a Ukrainian film director, sentenced to 20 years in prison for “plotting terrorist acts” against the Russian “de facto” rule in Crimea. Amnesty International has described the court process as “an unfair trial before a military court”. He has become a symbol for the approximately 70 Ukrainian citizens illegally arrested and given long prison sentences by the Russian occupation forces in the Crimean peninsula. Sentsov was on hunger strike from mid-May until 6 October, when he ended it because of the threat of being force-fed. The prize, consisting of a certificate and €50,000 will be awarded during a ceremony in the Parliament in Strasbourg on 12 December. 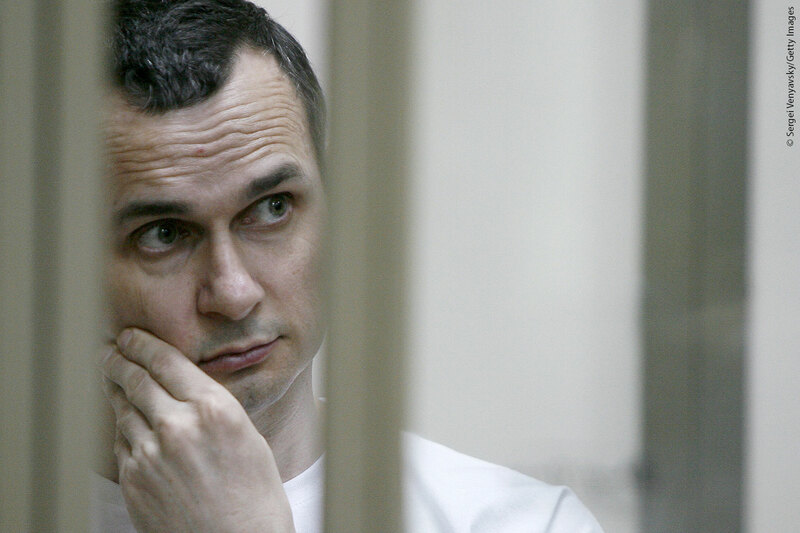 Sentsov was among three finalists for the 2018 Sakharov Prize. Find out more about the other finalists - the NGOs protecting human rights and saving migrant lives across the Mediterranean Sea and Nasser Zefzafi, the leader of Hirak, a mass protest movement in the Rif region in Morocco - in this article. They will also be invited to December's award ceremony. 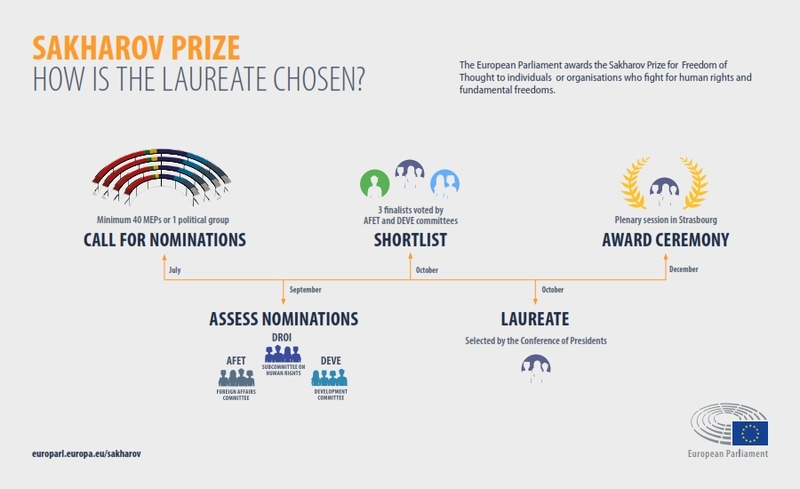 The Sakharov Prize for Freedom of Thought, named in honour of the Soviet physicist and political dissident Andrei Sakharov, has been awarded annually since 1988 to individuals and organisations defending human rights and fundamental freedoms. This year marks the 30th anniversary of the prize. Last year the prize was awarded to the Democratic Opposition in Venezuela.